Over the past decade, sustainability moved from a buzz word to a movement to a culture within leading communities, universities and businesses. Significant strides were made in zero waste practices, renewable energy technology, and reduced carbon | water footprints. Yet the glaciers continue to melt, the ocean acidification levels are increasing, and desertification is escalating. 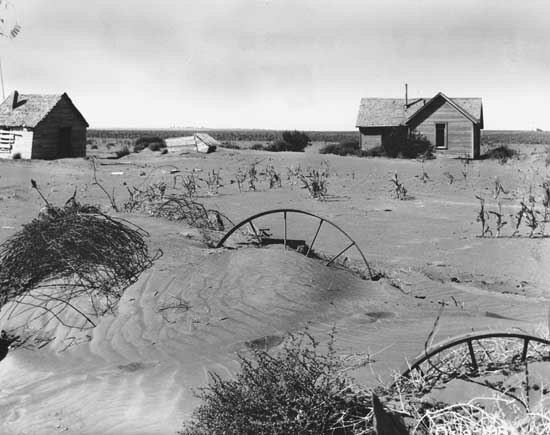 According to a senior United Nations official, there are only 60 years of farming left if soil degradation continues at current levels. In a Scientific American article, Volkert Engelsman, an activist with the International Federation of Organic Agriculture Movements, states,"We are losing 30 soccer fields of soil every minute, mostly due to intensive farming." A dangerous dilemma is brewing with an increasing global population and a diminishing ability to produce food. In addition, plankton is perishing at alarming rates due to ocean acidification and warmer water temperatures. Marine plant life (phytoplankton, kelp, and algal plankton) photosynthesis - the process plants use to convert carbon dioxide and sunlight into sugars for energy - generates the vast majority of atmospheric oxygen. "About two-thirds of the planet's total atmospheric oxygen is produced by ocean phytoplankton -- and therefore cessation would result in the depletion of atmospheric oxygen on a global scale. This would likely result in the mass mortality of animals and humans." Is sustainability enough to stave off the building crisis of the diminishing food and oxygen supply? In 2013, the Rockefeller Foundation pioneered the 100 Resilient Cities (100RC) program; the 100RC is dedicated to helping cities around the world become more resilient to the physical, social and economic challenges that are a growing part of the 21st century. The City of Atlanta was named a 100RC member in 2016. Subsequently, the Office of Sustainability evolved into the Office of Resilience. As a cosmopolitan city with the third largest concentration of Fortune 500 headquarters in the nation, Atlanta is challenged with an overtaxed transportation network. A lack of affordable transportation options segues into challenges with food access for the city's underserved population. Understanding the imperative role food access plays in a resilient city, the Director of Urban Agriculture position supports urban food production, assists with brownfield redevelopment, and helps community members seeking to establish and sustain community gardens, farmers markets, and food hubs. Is resilience enough to stave off the encroaching food and oxygen crisis? Kiss the Ground's empowering four-minute video, The Soil Story, states the problem and the solution are a matter of balance. Simply: there is too much carbon in the atmosphere and ocean pools. To restore balance, excess carbon must transfer to the fossil, biosphere and/or soil pools. The ZWA Blog article, Carbon Crisis: simply a matter of balance, explains the carbon cycles and the current out-of-balance scenario. 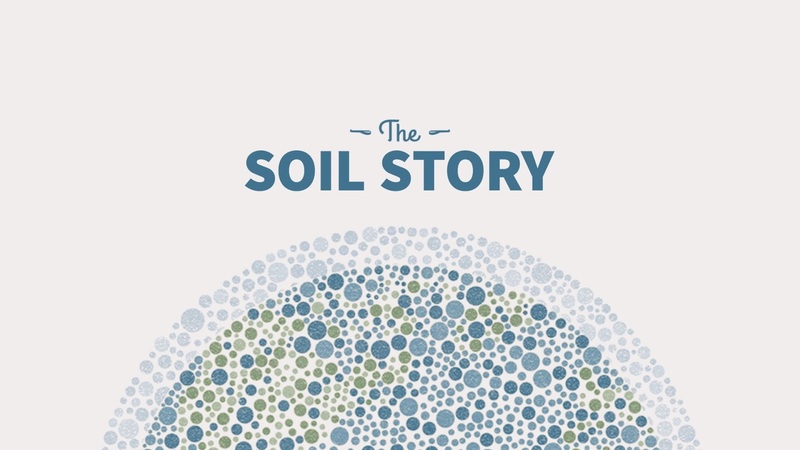 The Soil Story introduces regenerative agriculture | landscape practices as a solution for restoring the soil ecosystem. Healthy, alive soil nurtures plants with strong, deep root systems; the plants "pump" carbon from the atmosphere back into the soil. In addition, healthy plants grown in alive soil produce abundant, nutritious food. Once the atmospheric carbon reduces to a certain threshold, the oceans will release carbon into the atmosphere, reversing ocean acidification. Thus, marine plant life once again thrives, generating ample oxygen into the atmosphere. Thus, soil regeneration addresses the food and oxygen components of the pending crisis. In The Compost Story video, the sequel to The Soil Story, compost is introduced as a key ingredient in the soil regeneration recipe. On the surface, the Industrial Revolution introduction of fossil fuel burning seems the main culprit in the out-of-balance carbon scenario. Yet a deeper dive, reveals a web of intertwined human activities set the foundation for the pending crisis. 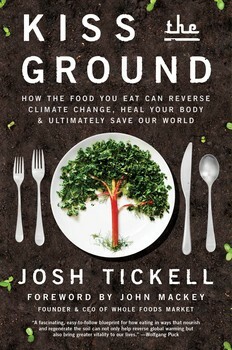 In the recently released Kiss the Ground (KTG), how the food you eat can reverse climate change, heal your body and ultimately save the world book by Josh Tickell, the well-searched chapters dive deep into the destruction of the Earth's soils. Before industrial agriculture equipment was introduced to commercial farming, the soils were tilled with hand tools (shovels, hoes, picks, etc.) or with draft-animal-powered equipment. Simply, tilling is turning over and breaking up the soil. By its intent, tilling destroys the soil infrastructure built and maintained by mycorrhizal fungi network and results in degraded, unhealthy soil. Without the soil infrastructure designed to hold moisture and nurture roots, plants lack the necessary nutrients to produce abundant, healthy crop yields. Plant immune systems weaken often resulting in disease and insect infiltration. Thus, the introduction of synthetic fertilizers along with the "cides" - herbicides, insecticides, pesticides, and fungicides. The KTG "Nazis and Nitrogen" chapter chronicles the development of common agrochemical practices from Nazi chemical warfare. It is chilling to realize the chemical compounds designed to kill humans are the foundation of the products routinely used in food production. In an effort to separate native American Indians from their lifeblood, the U.S. government embarked on a massive buffalo massacre operation in the 1800's. Effective, the estimated 20 - 30 million buffalo population that once dominated North America was reduced to just over 1,000 by 1889. 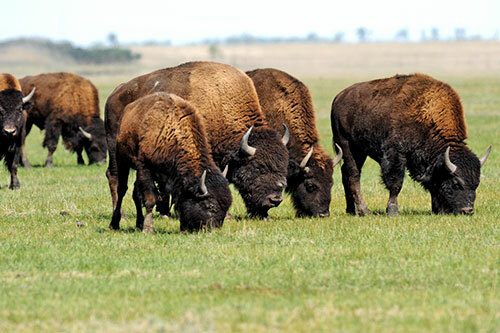 Tragic on many levels, the buffalo massacre was the first step in the desertification of once lush American prairies. As discussed in the KTG "The Buffalo Bank Account" chapter, the buffalo grazing patterns were integral to prairie grassland health. Manure is nature's fertilizer and nutrition for the soil's prolific life forms. 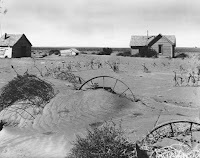 Another strong contributor to prairie desertification was the introduction of monocrop farms where the same crop is grown year after year on the same soil with no plant species rotation. Fallow fields left barren with no crop cover contribute to the deterioration of soil health. Vibrant soil ecosystems thrive on diversity and ensure the top soils are covered with a variety of plants. Initiated in the 1930's, the Federal Crop Insurance Corporation (FCIC) is a wholly own government corporation managed by the Risk Management Agency of the U.S. Department of Agriculture. As presented in KTG, the FCIC requires farmers to grow corn, soybeans, wheat and|or cotton from GMO seeds and employ agrochemical practices to qualify for the insurance program. Though they may not agree with the practices, many farmers are not willing to leave the FCIC safety net. Thus, the FCIC contributes to the death of the nation's soil. The KTG "Bismark or Bust" chapter introduces Gabe Brown of Brown's Ranch, regenerative landscaping for a sustainable future. 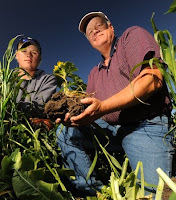 At his 5,000-acre farm networked with owned and leased land, Gabe and his son Paul use regenerative agriculture practices with amazing results. 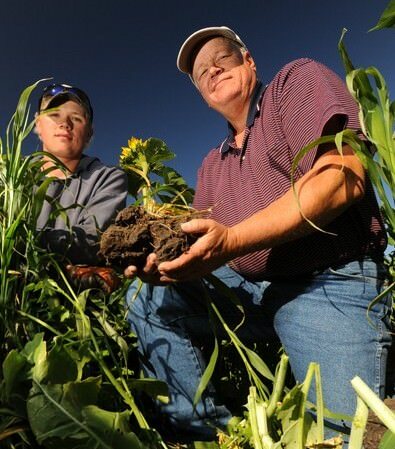 Since 1993 Brown's Ranch is a no-till farm and uses a diverse crop strategy with cover and companion crops. An ever-evolving grazing strategy rests and rejuvenates the soil. No GMOs (genetically modified organisms) or glyphosate are used on the farm. The Browns eliminated synthetic fertilizers, fungicides, and pesticides use and only employ a minimum amount of herbicides. Beyond restoring the soil, the farm produces abundant, healthy food, makes a solid profit, and provides a higher quality of life for the Browns. The "Bismark or Bust" chapter is an inspiring chapter filled with hope of what can be done. Once a solution for the pending food | oxygen crisis is established, Josh shifts gears to creating a viable market for food produced with regenerative farming practices. 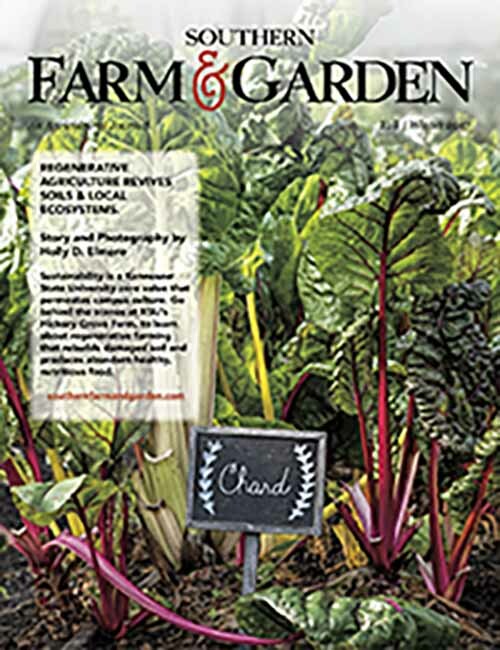 Engaging the power of consumer demand, readers are encouraged to purchase healthy food that regenerates their health while restoring carbon cycle balance. Simple supply | demand economics will build strong markets for regenerative agriculture products. In the final chapter, "The Regenerative Revolution," a wide array of examples for practical personal action is provided to participate in the Regenerative Revolution. KTG is a must-read book for those concerned about the future of humanity and earthly life as we know it. The book is an easy, engaging read with personal anecdotes that build a connection with Josh. With its well-orchestrated media launch, KTG is a powerful catalyst to ignite the Regenerative Revolution. Carbon Sequestration - the ZWA Blog article, Carbon Crisis: simply a matter of balance, introduces the Urban Carbon Sink concept. Ei Farm Tours - from a Soil Health perspective, farms may be harmful or extraordinarily beneficial to restoring carbon cycle balance. Ei Farm Tours focus on the many success stories where farms restore broken soil systems through regenerative agriculture. Macro Cost of Micro Contamination - the ZWA Blog article, Macro Cost of Micro Contamination, introduces the microplastic pollution focus area via a National Zero Waste Business Conference Ei-hosted panel of the same name. With prominent corporate and government connections, Ei intends to promote the use of regenerative landscape practices on corporate complexes, college | university campuses, highway medians | shoulders, airport land surrounding runways, parks, and other available urban lands. Collectively, the regenerative landscaped areas are destined to serve as urban carbon sinks and aid in restoring the carbon cycle balance. On July 31 Ei Founder Holly Elmore hosted the Georgia World Congress Center (GWCC ) team on an empowering Kennesaw State University (KSU) Hickory Grove Farm tour to learn about regenerative agriculture practices. 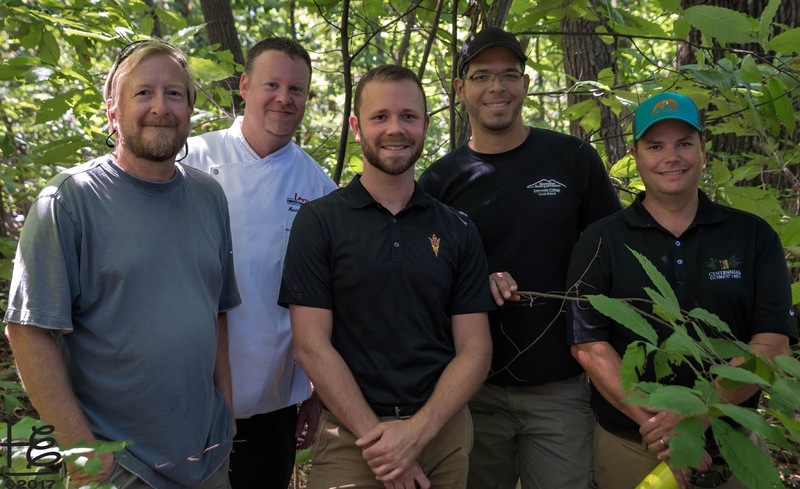 Since the tour, GWCC Director of Sustainability Tim Trefzer worked with Levy Restaurants Executive Chef Matt Roach and GWCC Grounds Operation Manager Steve Ware to identify an on-campus mini-farm area. The intent is to use food produced in the employee dining facility. Hickory Grove Farm Manager Michael Blackwall & KSU Professor Jorge Perez educated on regenerative agriculture practices along with crop choice advice; Steve shared his extensive horticulture expertise, especially pertaining to plant | tree identification on the farm's old growth forest areas. The ZWA Blog article, The Power of Tours, features the July Hickory Grove Farm tour; farm tour photos are included in the Holly Elmore Images FB album, KSU Leven School of Culinary Sustainability and Hospitality. A seven-page, multiple-article feature, An Icon in Sustainability and Hickory Grove Farm: Regenerative Agriculture Revives Soils & Local Ecosystems, in the Southern Farm & Garden fall issue gives an overview of KSU's stellar sustainability commitment at the Michael A. Leven School of Culinary Sustainability & Hospitality, The Commons (KSU’s Gold LEED certified dining hall), and Hickory Grove Farm. Holly provided the photographs and copy for the publication feature. In September Kiss the Ground joined the Ei Strategic Ally program. With abundant synergies, Kiss the Ground Co-Founder Finian Makepeace is the lead panelist on the Ei-Hosted panel Compost's Empowering Role in Sustainable Soils at the January 2018 U.S. Composting Council Conference. The ZWA Blog article, Atlanta Hosts U.S. Composting Council Conference, includes an overview of the prominent panel. The time is NOW to move beyond sustainability | resilience and embrace regenerative solutions that return the carbon cycles to a healthy, balanced state. The food and oxygen crisis is real and grounded in solid scientific research. To survive, wildlife (including humans) must eat and breath oxygen - starvation and slow suffocation are painful deaths! Regenerative solutions are simple and align with nature's perfect systems. It is time for humans to stop attempts to "outsmart Mother Nature" and relax into a symbiotic relationship with the planet.